Welcome to the ELOC Baseball Home Page! 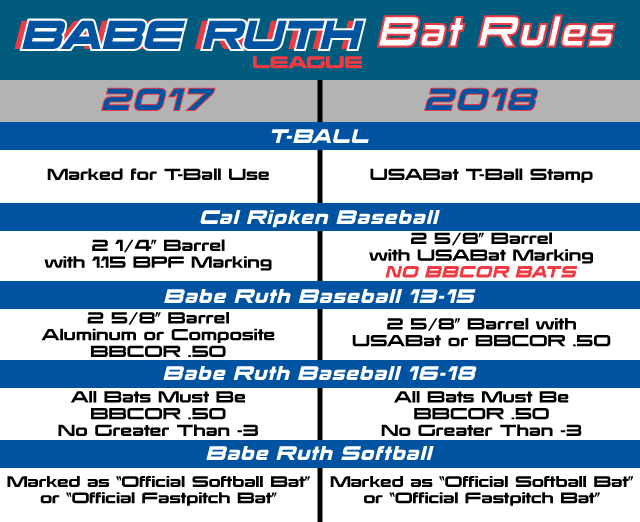 ELOC Baseball is now a Cal Ripken/Babe Ruth Baseball affiliated League! The ELOC offers Baseball for ages 5yr to 18yr in the Spring & Fall. We look forward to helping your player reach their full potential as a player and person! Each League is Run by different League Presidents. For updates & Information please visit League Specific Pages! The Cal Ripken and Babe Ruth All-Star Teams are for Eligible Players who are available for the District, State and Regional Tournament Dates (known mid-spring). These Teams will be formed to win with no guarantee of position(s) or playing time. If your player could get discouraged by this or by not making a team it's suggested that you remove them from being eligible. Teams will also have a fee per player on the roster (TBD). If you have any questions about where you live and if you player is eligible please see www.ncbrl.org, they will also list rules and tournament schedules on the website. The Southeast Region website is www.brlseretion.com. Players in Denver and in Lincoln County are eligible, if you live South of HWY 150, East of 321, West of Catawba River and North of 485 they may be eligible. Players must have a copy of birth certificates and register for a players card. It's an exciting time for coaches and players to continue their season and everyone associated will be expected to represent our League to the highest standards! The ELOC is always looking for good volunteer coaches to help with our baseball teams, our leagues depend on it! All those who want to be considered must complete an application through the registration system (Click "REGISTER NOW"), there is no charge for this registration and ALL coaches must complete for every season (even if you have coached in the past). Towards the end of the Registrations process each League President will contact those who applied if teams are in need of coaches. If the League President contacts you to coach you will need to complete a background check and become Babe Ruth Certified at www.baberuthcoaching.org (depending on experience it should take an hour or two & $20, advanced class not required). There is no cost for the background check and the directions can be found under "Documents" Tab to "Coaches Background Checks". If you have an issue seeing the REGISTRATION tab from your i Device please click view the full website towards the bottom on the screen! Tip for adding your personal information: When you log in please make sure that you update all personal information especially your child's birthdate. In the areas of address, phone numbers and email addresses please mark these items "private". In person sign up dates/times - See "Home" page on this website! They will be held at the ELOC clubhouse.